This page is meant to provide some general best practices for creating wiki structures and content that are as likely as possible to get ranked highly in Google and other search engines, a practice called Search Engine Optimization. SEO is an imprecise art, but there are many elements that are either known to produce good results or that are thought to have an impact. This article is not meant to be an exhaustive guide, but to provide some key pointers for making the best choices as you build your wiki project. Periodically, Google and other search engines send out bots to "crawl" and index websites. These crawlers follow links on each page they visit and examine content for relevance and anything that may have changed since a page was last crawled. 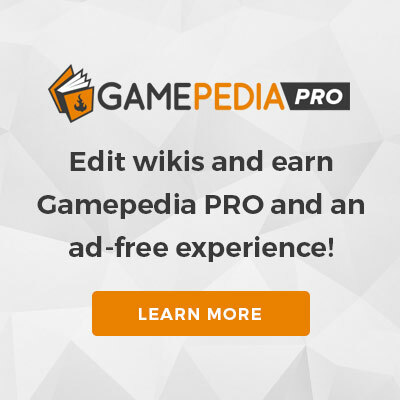 On the back-end, Gamepedia works to ensure that these bots are only crawling relevant pages and not wasting time with duplicate pages or those that wouldn't be of interest to people searching. On the forward-facing side, there are lots of thing you can do to ensure that these bots are getting the best possible picture of the wiki to serve to users searching for content. The main page of a wiki is one of the most important pages. Often it is one of the most common results for general wiki-related searches. This is because it not only receives a lot of traffic as the hub for the wiki project, but also because it tends to contain a large amount of keywords associated with the game. Main pages should always contain as many general and game-specific keywords as possible. Even on newer projects, or those for unreleased games, creating stub pages for all the main content areas (e.g. Quests, Items, Monsters, Bosses, Equipment, etc.) and linking them prominently on the main page should be a priority. Including commonly-searched keywords like "Guide(s)," "Walkthrough," "Tips and Tricks," etc. can also be helpful if there is a reasonable way to include them. In addition, it can be helpful to ensure that general text describing the game is nearest to the top of the page, rather than below other links. As with all pages, but especially your main page, there should never be more than one H1-level heading on the page. This means you should never use a heading with a single = such as =Something=. If using a manually set meta description tag, it should be no longer than 150 characters or else it will be truncated in search results. If you include timely content on your main page, such as "News," "Release notes," or similar, make sure that these sections are reliably updated. If not, you risk search engine crawlers viewing the page content as "stale," which can affect search rankings. Properly structuring content on a wiki is very important for search. There are several things to consider while creating the structure of your wiki's core pages. One thing that can be very helpful, both for SEO as well as for users, is to include navigation links to key pages in the wiki sidebar. This is configurable by administrators through MediaWiki:Sidebar. Not only does this make the wiki more easily navigable for users, it also helps tell search robots that those pages are some of the most important pages on the wiki by linking to them from every other page. Typically, the fewer clicks away a page is from another given page is a demonstration of how closely those pages are related, and pages with more inbound internal links will be crawled more often and given more weight in search results. On the topic of linking, be sure to link relevant pages that appear in the content of pages whenever possible. Generally the rule of thumb is to use a wiki link for any word or phrase that appears in an article the first time that it appears in the text. Also consider linking key phrases that might appear in infoboxes, such as those relating to core game mechanics (e.g. "Rate of Fire", "Damage", "Experience"). Again, linking keywords that appear in templates on many pages demonstrates the importance of those pages. When creating pages about broad categories on your wiki (e.g. "Locations" or "Quests"), it is typically better to create content pages in the Main namespace, rather than relying on Category namespace pages as hubs. Not only can you add more general information about that topic that will help provide additional keywords and relevant information for users (and search crawlers), but tables and lists with additional information are usually more easily digestible for users. As mentioned above, all pages should have only a single H1 heading. Top level headers should always start with H2 and go on from there for any sub-headings. Pages should contain as much information as possible. Generally, try to include more than just context-less lists of other pages, and work to also include general text about the page topic. Using images and other media is always a great addition to a wiki page. Whenever possible, be sure to include captions and alt tags for images. Examples: [[File:Example.jpg|250px|This is alt text.]] [[File:Example.jpg|thumb|This is alt/caption text.]] This serves two purposes. First, it gives additional context to search engines about the content of images and can help them be served in results. Second, it is also a good practice for accessibility, as it aids visually impaired users who may be using screen readers or similar software. Also, in the event that an image cannot be loaded, the alt text is used in lieu of the image. Where possible, include summaries of videos that are embedded in pages. This helps ensure that important details and keywords that might be in the video are also included in the page text. Avoid using links that require redirection -- Where possible, always use the most direct link possible. Avoid using Category namespace pages as key hubs on the wiki. Avoid using "News" or "Updates" sections if they are not going to be properly maintained/updated. Don't have multiple, repetitive pages with similar information. Not only are these harder to maintain, but splitting up info or duplicating content can affect search results. Don't copy content from other sites directly -- Not only can this be a copyright issue, but duplicate content gets "dinged" in search results. This page was last edited on 31 October 2018, at 17:57.